There are lots of reasons why you want to burn videos to DVD, right? You may want to burn your wedding videos, birthday videos, graduation videos, etc. to DVD for backup since DVD discs can last for a very long time. If you have got a large collection of video files and want to convert them to DVD, you can use a free DVD authoring software called DVD Flick to convert your videos to DVD for free. This article will show you how to create a DVD with DVD Flick, easy and free DVD authoring tool that supports more than 45 file formats, 60 video codecs and 40 audio codecs. 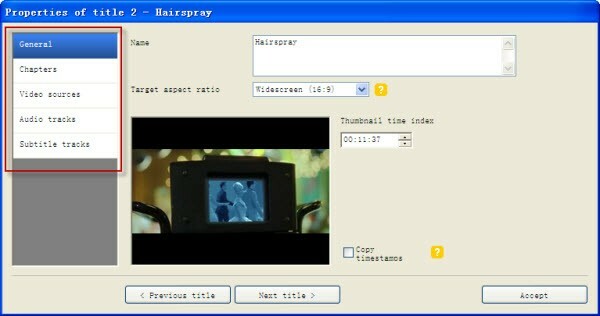 Besides, it allows you to add custom audio tracks, subtitles and DVD menus for your preference. 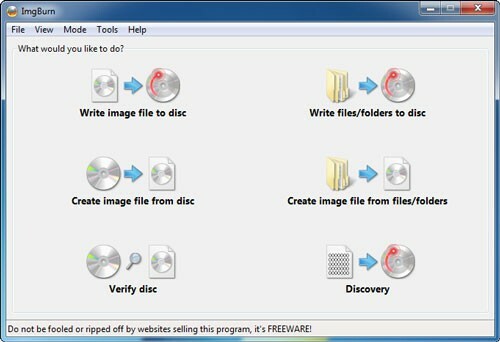 First, make sure you have downloaded and installed DVD Flick on your computer. 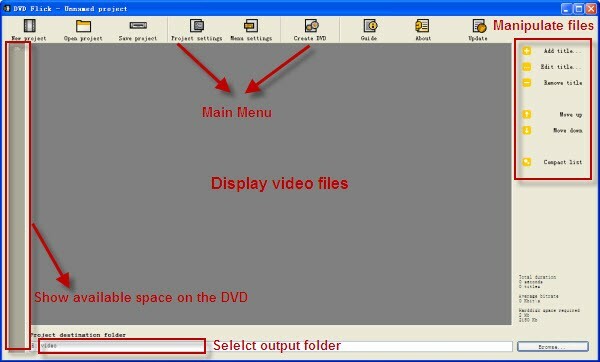 And then follow the below DVD Flick guide to see how to burn your videos to DVD with DVD Flick. 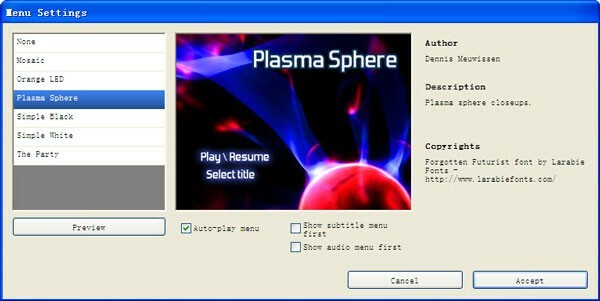 You can click the Add title button and choose one or more desired videos from your computer for DVD authoring. All added videos will be displayed on the video displaying area. You can edit each title double-clicking it or by clicking it or clicking the Edit title button. Here you can freely set the title name, chapters, audio tracks, subtitle tracks, etc. Then click the Project settings button from the main menu to open the project's settings. Here you can choose the general, video, audio and playback settings as you like. DVD Flick can save your videos to ISO images files for later burning or directly burning the videos to DVD with ImgBurn. The default option is to save videos as an ISO image file. Here under "Burning", select "Burn Project to Disc". You can add a custom menu to your movie. Click "Menu settings" on the top and on the menu settings window, select the menu you like and click the "Accept" button to apply the selected menu. If you want to make custom DVD menus, please go to How to Custom DVD Flick Menu. After all the settings, you can click "Create DVD" button on the main menu and when wait for DVD Flick to generate the DVD format files. 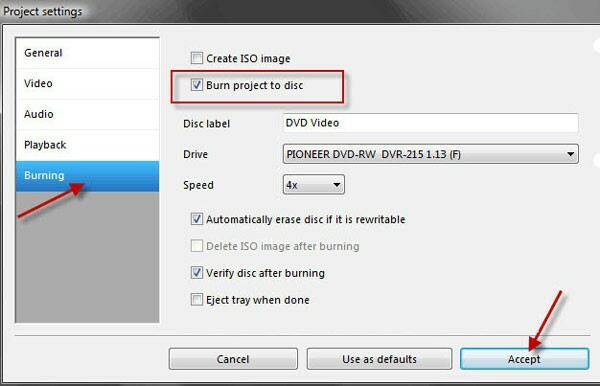 When DVD Flick has finalized the files for burning, ImgBurn will open automatically and begin to burn the DVD Flick generated files to DVD (Write image file to Disc mode). Tips: If you need more features and conveniences for DVD burning, you can use Aimersoft Video to DVD Maker, an all-in-one DVD authoring and DVD burning tool. With it, you can convert various videos to playable DVD and make photo DVD slideshows easily and fast. Besides, the built-in editor allows you to trim, crop, adjust effect, add watermark, etc. to touch up photos and videos with a click. What’s more, you can add some transition effects, background music and choose DVD menus from tons of free DVD menu templates to get better DVD visual effects. The equivalent Mac version is Aimersoft Mac DVD creator software. Play MP4 on TV: Want to play MP4 files on TV? This article shows you the easiest way to accomplish the task. Convert MP4 to ISO: If you have some MP4 videos and want to burn them to DVD, you can follow the tutorial to finish the task with ease. Convert MPEG-2 to DVD: How to easily and quickly convert MPEG-2 videos to DVD? Find the ideal solution here. Windows DVD Maker MP4: Have no idea how to burn MP4 files to DVD with Windows DVD Maker? Find the solution here. Convert 3GP to DVD: If you'd like to convert 3GP videos to DVD, you can follow the tutorial to accomplish the task. Audio is a tad off. Also, no subtitles appeared from the .srt file. I may have done something wrong since it''s my first time. The users guide says to change a setting that isn''t there to correct the audio problem. Seems like this software isn''t supported anymore?